Special Events » # 2 – 10 in. Bless Our Home Plate – $49. # 2 – 10 in. Bless Our Home Plate – $49. # 2 – 10 in. Bless Our Home Plate – $49. 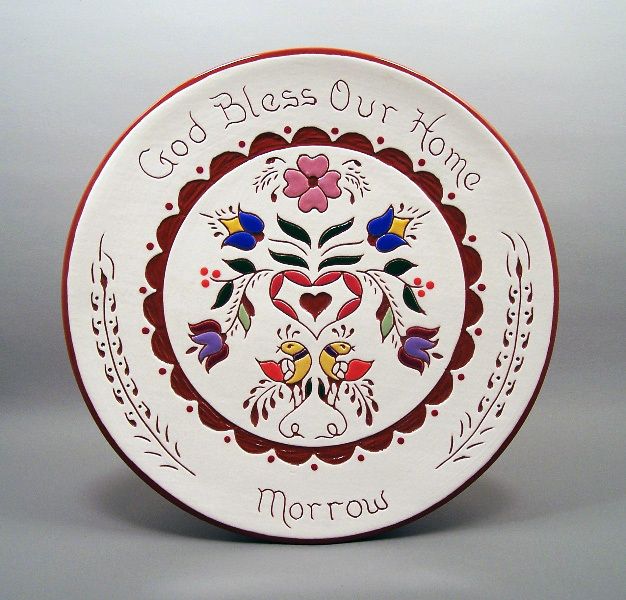 This design also makes a lovely Pennsylvania Dutch Wedding Plate!